Ghostly Travels: Return to Gettysburg, March 2011, part 4, The Ouija Board! Return to Gettysburg, March 2011, part 4, The Ouija Board! Luckily, there were no classes or lectures too early in the morning so I could sleep in some after being out late from the ghost hunt at the Widow's Cottage with Spooky and Cori. The first class was with Robert Murch on The History of the Ouija Board, How it affects the investigator and client. I used to always think these were very bad things, a portal that if opened, could let in all sorts of things that we really have no business messing with, much less are we even able to control. We all know the stories, many of us have played with them at one time or another growing up, watched movies about them, notably for me, it was The Witchboard with Stephen Nichols (Patch from Days of Our Lives). So going into this class, I was pretty leary about it all, little did I know...oh so little did I know about the Ouija board! Robert Murch is the expert on Ouija boards! 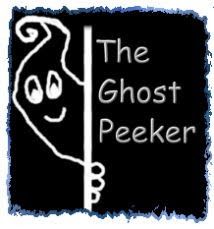 Check out his site when you get a chance and read all about the Ouija board, the history and stories and theories as well as the real truths behind the mystic oracle board! I have to say, that I got quite the education in his class! Robert has over 500 boards and one that even glows in the dark! These boards have been around over a 100 years! Can you believe it?! But as a paranormal investigator, think about it...from what Robert said: "...these were really the first wireless communication device and probably people's first experience with the paranormal..." The 'Talking Board'....Ouija. I sat in this class and scribbled down lots of notes and things that I thought were most interesting but I won't give it all away here in my blog, it's best to hear it from the expert himself, Robert Murch! Attend his class on it and I bet that your own opinion about the Ouija board may very well change!! He had a table there in the vendor room that was displaying just a few of his Ouija boards he owns, including a pink one! The biggest revelation or perhaps realization if you will, that I got out of his class, along with all the great, wonderful and most interesting history, not to mention the hysterically funny movie clip he shares that had a Ouija board in it, was that if you think about it, what difference is there between the Ouija board and your own recorder? Your ITC/PX/Ovilus? If you truly look at it from a more objective standpoint and put aside your own experience or preconceived notions about the Ouija board, in all honesty, to me, there is no difference. With our equipment that we use to communicate with spirits or energies, we don't truly know what or who we are dealing with. Any device we use allows us to part the veil, even if temporarily, to the other side and we are communicating with spirits or entities or energies that we really have no way of confirming for sure, not 100% of who or what. Am I still a bit leary of the Ouija board? Yes, I am still leary as I can't discount the bad that seems to happen and how we all go AAAHHHHH....in an understanding thought process when we hear of a client who has messed with a Ouija board in their home and now seem to have a poltergeist or even dare I say it, a 'demon' or other troublesome spirit or energy in their home? But talk to many paranormal investigators and you will hear of many of them having spirits or entities or energies following them home. Many of them, have not ever touched or used a Ouija board and yet...they still have spirits ...ghosts? bothering them. Disrupting their lives...coincidence? From that, I pretty much see it as any device you use to try to communicate with those who have passed or the energies that are all around us....even elementals if you will...you open yourself up and if unprotected, then you just don't know what you are messing with or dealing with and what the repercussions could very well be. Dangerous? Could be. Safe? Maybe. It is my own personal belief that if you are wanting to attempt to investigate the paranormal that you do so with a great respect and a deep and abiding faith so that you do protect yourself and you keep to some basic ground rules to protect yourself and your family. Now I have heard of some investigators who do not like to protect themselves because they want to experience what the client is and that's all well and good, just be careful in that you can handle it and know of others who can help you in case you get in over your head. This is still a relatively new realm that we have become aware of and learning how to communicate with and just starting to try to understand. The amateur and those just starting out have to be very careful that you realize it is not like what you see on tv. My own safeguards start with learning how to ground yourself, shield, and develop a relationship with deity. Whatever you subscribe to or believe in. I also do not ever investigate my home. My home is my sanctuary. It is a brand new home so if there are any entities here, they are from any family heirlooms or objects or those of my cat who died last year or those spirits from our family. None of which are anything to be afraid of. I have protected my home and blessed it and it has a positive force within and without. A last note about the Ouija board and Robert Murch...Robert himself is a very approachable and very kind, soft-spoken man. Very knowledgeable about the Ouija board and I would dare say the world's expert on it! Do be sure if you attend an event and he is there, to say hello and attend his class! You won't be sorry if you do! It was informative, creative, and really funny! It sure did open my eyes about the Ouija and challenged my own beliefs on it! Thank you Robert!! Awesome class!